CapexMD finances all Fertility Medications for Patients when FOLLISTIM or GONAL-F is the prescribed FSH preparation. CapexMD is proud to announce a program whereby CapexMD can now offer financing for fertility medications where the FSH preparation is either Follistim or Gonal-F. This market leading finance plan is available to all patients, either in isolation, or if included in the financing required for their IVF treatment at any CapexMD Participating Practice. Borrower first determines whether their FSH preparation is going to be either Follistim or Gonal-F and select their pharmacy accordingly. Borrowers can apply for a medication loan, or include medications with the funds that are required for their IVF treatment plan. 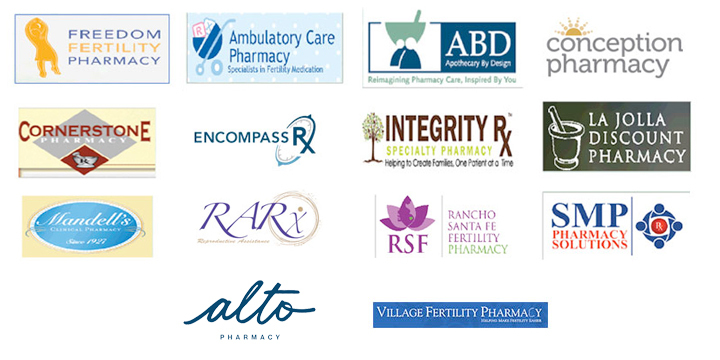 In the event that fertility medications are being funded, or are being included in the loan amount, funds for the medication portion will be disbursed directly to the Pharmacy of their choice. Borrower will receive an email with a Medication Voucher attached, which when presented to the chosen Pharmacy, will activate the patient’s account with a credit equal to the amount of the voucher. This credit will be available for a period of 60 days from the issue date of their Medication Voucher. Prescriptions can be filled multiple times during this 60 day period. Any unutilized medication funds will be refunded to CapexMD, and will be applied to the Patient’s loan as a reduction to their outstanding principal balance. There are no costs associated with activating your medication allowance credit. To apply for a medication loan (or an IVF loan that includes medication) select either the “BLUE” tab (Fertility Medication Loan only) or the “PINK” tab (to select the IVF Clinic that you are going to for your IVF treatment and then include the amount you need for Fertility Medications in the requested loan amount). If you select the “BLUE” tab you will be asked to select the pharmacy from which you wish to secure your medications.